Last week, the House passed several bipartisan small-business bills that ranged on a number of different topics including commercial development loans, small business contracting calculations, and expanding subcontracting opportunities. H.R. 226, Clarity on Small Business Participation in Category Management Act – introduced by Rep. Nydia Velazquez (D-N.Y.). Last year, the bill was sponsored by both the Chair and Ranking Members of the Small Business Committee. H.R. 226 requires the SBA to report federal spending made through designated “best-in-class” vehicles, and to report on the dollars spent through these vehicles awarded to small businesses. H.R. 226 would require the Federal Procurement Database System (FPDS) to include a field to indicate when a best in class contract is used. 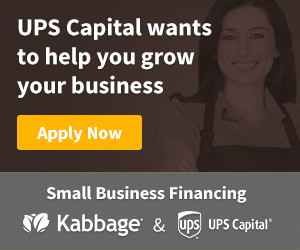 The legislation also would require the Small Business Administration (SBA) to include information about the total amount of spending across the government on contracts designated as best in class and the amount spent on goods and services from certain small businesses in an existing annual report. H.R. 227, Incentivizing Fairness in Subcontracting Act – sponsored by House Small Business Committee Chair, Rep. Nydia Velazquez (D-N.Y.). Last year, the bill was cosponsored by Rep. Al Lawson (D-Fl.) and Rep. Kelly (R-Mich.). H.R. 227 allows large prime contractors to take credit for subcontracting to small businesses at lower tiers, provided that prime contractors keep records substantiating subcontracting credit claimed at lower tiers, and creates a new dispute process for small subcontractors to bring non-payment issues to the agency’s small business advocate (Offices of Small and Disadvantaged Business Utilization). H.R. 227 would require the Office of Small and Disadvantaged Business Utilization (OSDBU) at all federal agencies to develop a dispute process to resolve late payments from federal prime contractors to their subcontractors. Under the bill, when a subcontractor notifies an OSDBU that it has not received payment for work performed, that office would need to verify that no payment had occurred and then determine whether the lack of payment could be attributed to actions by the federal agency. The OSDBU also would be required to notify prime contractors regarding their failure to pay and reflect that nonpayment in a federal contract reporting system. Under H.R. 227 the Small Business Administration (SBA) would issue new rules regarding prime contractor reporting requirements. H.R. 128, Small Business Advocacy Improvements Act – introduced by Rep. Comer (R-Ky.) and Rep. Alma Adams (D-N.C.). H.R. 128 allows the SBA Office of Advocacy to examine the role of small business in international economies and to represent small business views before foreign governments and international entities. H.R. 128 would expand the required duties of the Small Business Administration’s (SBA’s) Office of Advocacy to include examining the role of small business in the international economy. The bill also would direct the office to represent the views and interests of small businesses before foreign governments and international entities regarding regulatory and trade initiatives that may affect small business. H.R. 206, Encouraging Small Business Innovators Act – sponsored by Rep. Harley Rouda (D-Calif.). Last Congress the measure was introduced by Rep. Adriano Espaillat (D-N.Y.) and Rep. Ralph Norman (R-S.C.). H.R. 206 makes a series of changes to the Small Business Innovation Research (SBIR) and Small Business Technology Transfer (STTR) programs, making them easier for small firms to use. Under current law, the SBIR program requires federal agencies with extramural budgets for research and development (R&D) that exceed $100 million per year to set aside 3.2 percent of that budget for contracts with small businesses. (Extramural budgets consist of expenditures for activities not performed by agency employees.) Likewise, the STTR program requires federal agencies with extramural budgets for R&D that exceed $1 billion per year to set aside 0.45 percent of that budget for cooperative research between small businesses and a federal laboratory or nonprofit research institution. Eleven agencies currently participate in at least one of those programs. H.R. 206 would expand the definition of R&D to include the testing and evaluation of certain activities. The act also would direct the Small Business Administration (SBA) to increase the past performance ratings of small businesses that have participated in the SBIR or STTR programs and that serve as a mentor to a small business that seeks to participate in one of those programs. Lastly, H.R. 206 would amend the Federal Acquisition Regulations to define an assisted acquisition and allow the General Services Administration (GSA) to assist agencies with SBIR or STTR contract awards. H.R. 116, Investing in Main Street Act – sponsored by Rep. Judy Chu (D-Calif.). The bill amends the Small Business Investment Act of 1958 to increase from 5 percent to 15 percent of its capital and surplus, the amount a national bank, a member bank of the Federal Reserve System, a nonmember insured bank (to the extent permitted under applicable state law), or a federal savings association may invest in one or more small business investment companies (SBICs), or in any entity established to invest solely in SBICs. The increase is subject to the approval of the appropriate federal banking agency. H.R. 190, Expanding Contracting Opportunities for Small Business Act – sponsored by Rep. Roger Marshall (R-Kansas). Last year, this was also introduced by Rep. Marshall and Rep. Schneider (D-Ill.). H.R. 190 focuses on sole-source contracting to small businesses. H.R. 190 raises the dollar amount of sole-source awards so that they are closer in line with the size of current contracts being awarded in the procurement landscape. To mitigate the risk of fraud and abuse, the bill strengthens oversight by instituting a new eligibility determination check by SBA before sole-source contracts are awarded, and by requiring SBA to notify Congress when front-end certification programs for Women-Owned Small Businesses (WOSBs) and Service-Disabled Veteran-Owned Small Businesses (SDVOSBs) are implemented. The bill also provides insight into federal sole source contracting activities by requiring GAO to assess whether federal sole- source award data is accurate and identifying sole-source awards made to ineligible entities. H.R. 246, Stimulating Innovation through Procurement Act –sponsored by Rep. Abby Finkenauer (D-Iowa). This legislation was originally introduced by Rep. Stephanie Murphy (D-Fl.) in 2017. The bill requires SBA to coordinate with the senior procurement executives of federal agencies participating in a Small Business Innovation Research (SBIR) Program or a Small Business Technology Transfer (STTR) Program to assist small businesses participating in such programs with commercializing research. Click here to read NSBA’s letter of support for H.R. 226 and H.R. 227. 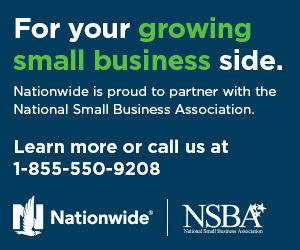 © 2019 Copyright National Small Business Association.